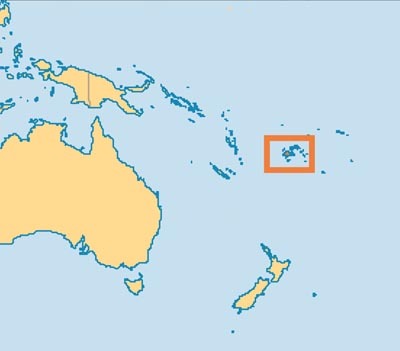 Fiji is a country comprising more than 332 islands, of which 110 are permanently inhabited. The population is 860,000. Native Fijians make up 55% of the population, whilst 40% are of Indian descent. Indigenous Fijians are mostly Christian (40% at the 1996 census), and Indo-Fijians are mostly Hindu or Muslim. In total Christians are 64.5% (Methodist 34.6%, Roman Catholic 9.1%, Assembly of God 5.7%, Seventh-day Adventist 3.9%), Hinduism are 27.9% and Muslims are 6.3%. ACBM activities: Work started in 1963 with the first baptism later that year. Regular Bible Schools, youth conferences and ecclesial studies are held in December and at easter with visiting support of brethren and sisters from overseas. The brotherhood in Fiji is spread from Lautoka (currently 10 meet on the north western side of the main island of Viti Levu) to Nausori. The main hall is situated in Suva – Fiji’s capital city which is on the eastern side of the island. There is 30 doing correspondence courses and 2 Sunday Schools with 110 students. 6 are preparing for baptism. Primarily focus is on green field preaching in Labasa (Vanua Levu), supporting youth activities, and preparation for the 2nd South Pacific Youth Conference in 2013.